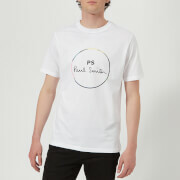 Men’s white graphic T-shirt from the Paul Smith diffusion line, PS by Paul Smith. 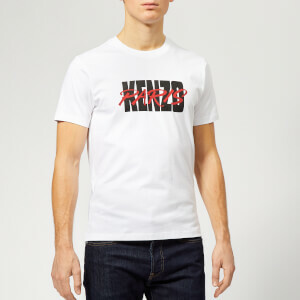 Crafted from organic cotton jersey and cut for a regular fit, the ‘Bike’ tee is designed with a large black print of a bicycle on the front. 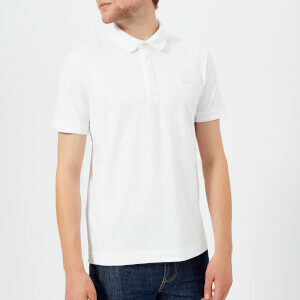 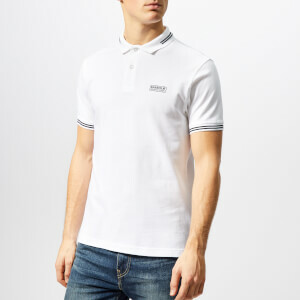 Complete with a ribbed crew neck, short sleeves and a small PS Paul Smith logo above the straight hem.